Where Should We Stay in Bali? “Where Should We Stay in Bali?” I am often asked a lot by friends or acquaintances especially when it’s near holiday season. And my answers can be vary; really depending on what you like, who you’re travelling with, what are you looking for in this trip. A family getaway, a culinary trip, or maybe rave parties? The main tourist shopping strip runs from Kuta through Legian to Seminyak. The whole window browsing journey from Kuta to Seminyak can be done in 2 – 4 hours, depending on how many shops you visit. Why walking? Well, simply because traffic here can be crazy… and it’s a nice walk… There are many shops, cafes, bars, restaurants and things to do along the way. Or you can just walk along the beach. Of course location is very important when it comes to choosing accommodation. Ideally you want easy access to happening places and the beach too. At least enough to keep the whole family or group happy. 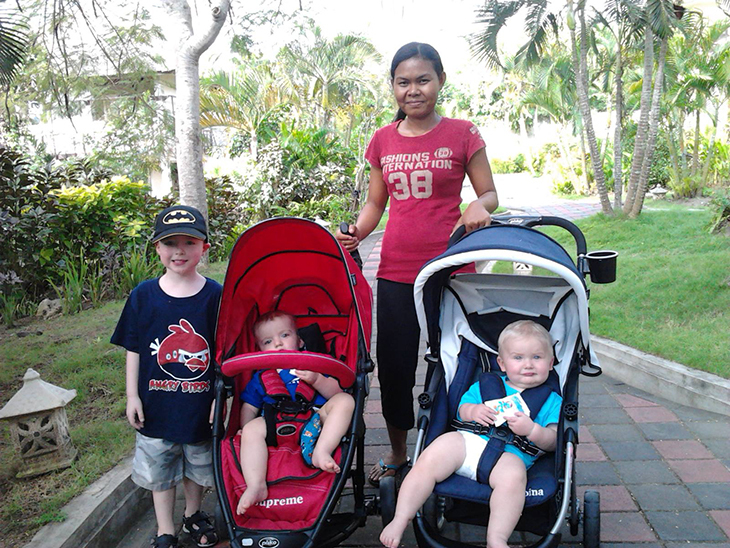 If you are coming with little kids, I would suggest you to get a resort or villa. 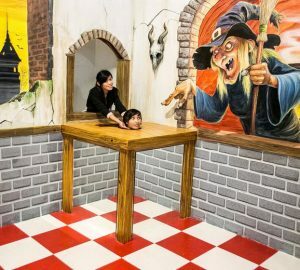 Most resorts in Bali will have a kids club. 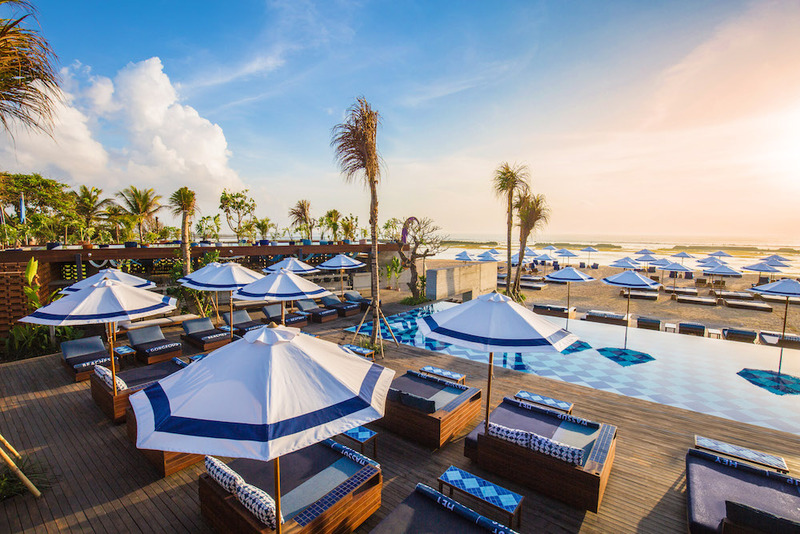 Nusa Dua area in particular has plenty of great resorts for families and recently Manarai Beach Club opened in Nusa Dua, so that area is a great choice for families or couples that are looking for a chillaxing time. 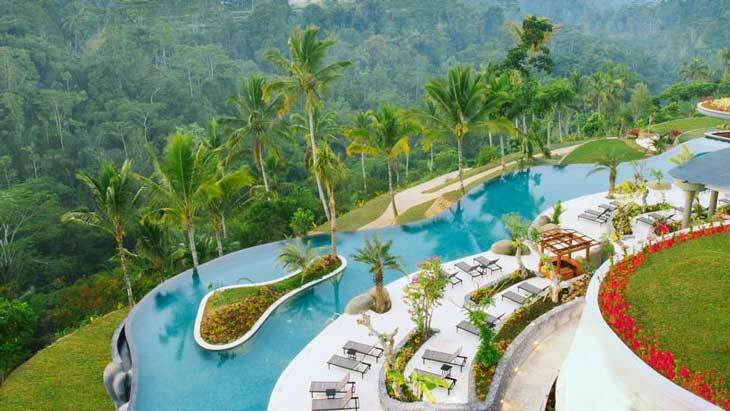 But don’t worry, you can also go wherever you want to go, as Bali offers plenty of trusted nanny services, kids toys rentals, and you can even hire swimming pool fence for your villa. 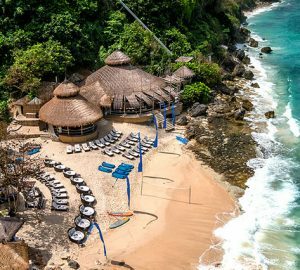 Jimbaran or Uluwatu has plenty of hidden luxury resorts and is also booming with Cliff clubs (just like a beach club but on a cliff) lately, I would say it’s an ideal stay for couples or groups of friends. This part of the island is also where surfers love to go, so expect to see them in motorbikes with surf boards on the side. A plus to this? Many surf shops and hip healthy food joints to try! The downside is, getting around can be tricky, so renting a car with a driver is highly recommended. Canggu area is perfect for those love to see and be seen. Known as The Gu’, this area is a little bit far from airport. However, some of best vegan nosh and coffee shop nestled here throughout Batu Bolong up to Berawa stretch. 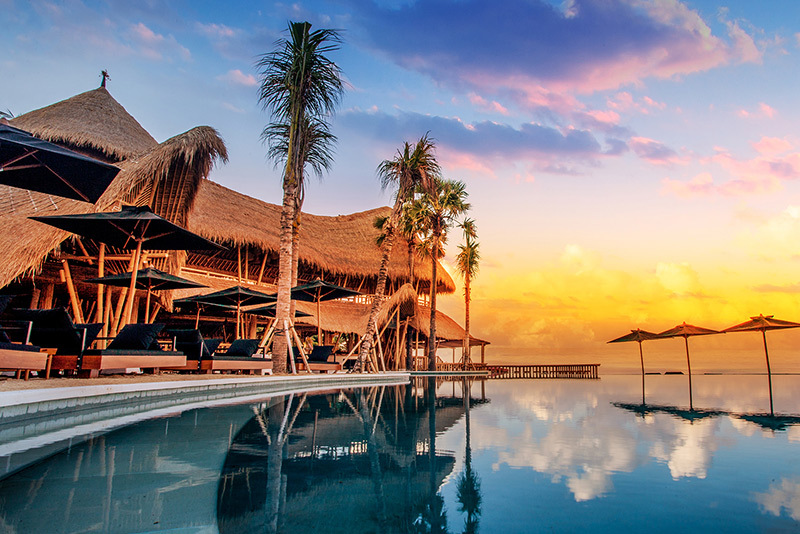 So settle in for a long alazy day basking under the sun and fill up on Bali’s best bites before hitting the beach, learn to surf, and finally bar hopping in the evening! Ubud is almost 2 hours away from Denpassar airport and it’s up in the hills. The place is cooler, lush with its forest and rice paddies, and artsy. If you are looking to be more in touch with Mother Nature, arts and serenity then Ubud is where you can go. It’s something different and it’s more calming. Staying for a night or two here never fails to renew a weary body and soul. So if you are only coming for few days and it’s your first time, I would suggest you go to Seminyak for more happening places and go visit beach clubs during the day if you want to. But if you are looking for just R&R on the beach, then you can’t go wrong with Nusa Dua area. But if you have a week or more, then you can always split your accommodation between different areas. And you can even try go to east Bali like Menjangan , Nusa Lembongan or even take a speedboat to Gili islands (near Lombok… here you can get the full moon party experience). 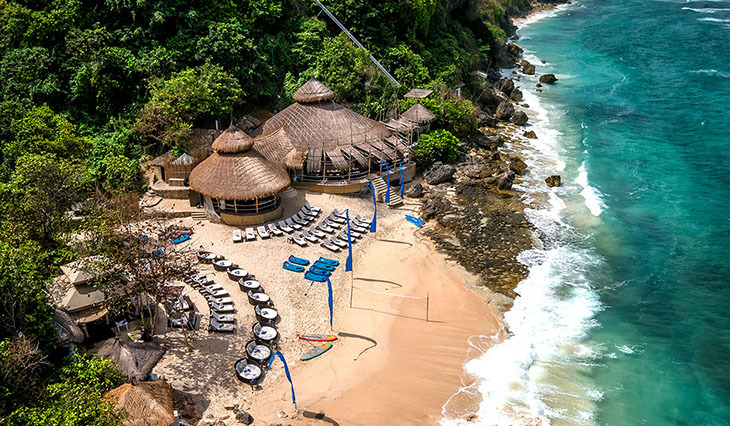 But seriously, while you are in Bali, you need to check out one of these 33 Bali beach clubs , you can start from 3pm when the Sun not too hot, perfect for sub-bathing, swim, hangout and drink until sunset is over around 6ish, then you can get packed up and head back to your hotel or go out for dinner. Energizer bunny mood? 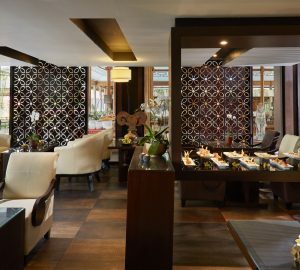 In 24 hours in Bali you can start with brunch, shopping, swim at beach clubs or in the hotel or villa until sundown, then get a massage before dinner at 9pm and then hit the bars and clubs afterwards. Mind you, clubbing in Bali only starts kicking off after midnight and they usually will stay open until the sunrise. Enjoy the Island of the Gods!